There are two primary types of visas to the United States: immigrant and non-immigrant. One way to obtain an immigrant visa is through making an investment in a business or commercial enterprise. Known as an E2 visa, this type of investor visa offers an excellent opportunity for Argentinians to immigrate to the United States to direct and develop a business. In contrast to other types of investor visas, E2 visas do not require a minimum investment amount. Instead, they simply require a “substantial” investment in a real, operating enterprise. 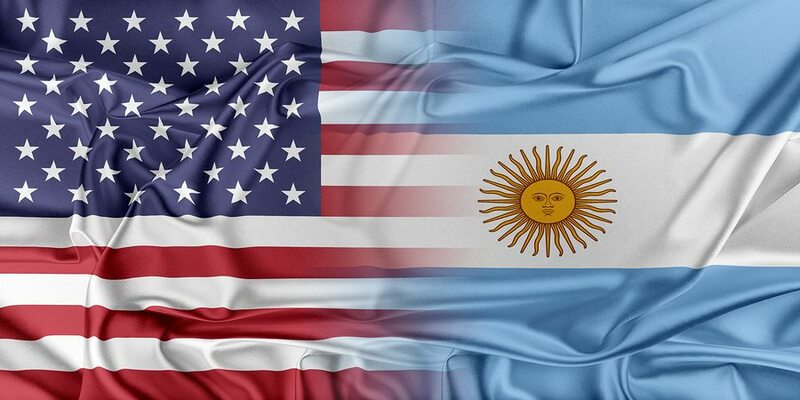 While E2 investor visas will not give Argentinian nationals permanent residency in the United States, they will permit the investor and his or her dependents to reside in the United States indefinitely. Working with an Argentina E2 visa lawyer, such as the dedicated immigration attorneys of Colombo & Hurd, can help increase the likelihood of obtaining an E2 visa. For any investor seeking an E2 visa, there are certain basic qualifications that must be met. First, the investor must be a national of a country that has a commerce and navigation treaty with the United States. As Argentina has such a treaty with the U.S., Argentinians meet this requirement. Second, the investment in a commercial enterprise or business must be substantial. While there is no minimum threshold, it must be sufficient to ensure the successful operation of the business. This is often determined by examining the investment in relation to the total cost or value of the business. Third, the investor must have control of the funds, and must irrevocably commit the funds to the business or commercial enterprise. Fourth, the investment must be in a real, operating, non-marginal enterprise. This requirement means that the business must generate significantly more income than just enough to support the investor and his or her family. It also must not be a speculative or idle investment. Fifth, the investor must be coming to the United States to direct and develop the enterprise. Alternatively, if the applicant is not the principal investor, he or she may qualify for an E2 visa as a supervisory, executive or highly specialized skilled employee. • Supporting documentation, including proof of nationality of investor; ownership documents for the business; valuation of the business; evidence that the business is not marginal; proof that the business is real and operating; and, if applicable, information regarding an employee’s need to immigrate to the U.S. to fulfill a position with an E2 company. Excluding the immigration forms, civil documents and page dividers, all supporting documentation must be no longer than 70 pages in length and cannot exceed 20MB in file size. Once accepted, the Buenos Aires Consulate will contact the applicant to schedule a date and time for an interview with the consular officer. If approved, an Argentinian national and his or her dependents (spouse and unmarried children under the age of 21) can obtain an E2 visa for a period of up to 5 years. These visas can be renewed an unlimited number of times, provided that the investor remains in E2 status. At Colombo & Hurd, our E2 visa lawyers have in-depth knowledge of the U.S. immigration process. One of our founding partners, Carlos Colombo, also has firsthand experience immigrating to the United States from Argentina. Carlos was born in Buenos Aires, and immigrated to the U.S. with his family after extend trips throughout the world, including living in Europe for a period of three years. As an immigrant and an Argentinian himself, Carlos understands the challenges of the system. Combined with more than twenty years of experience in immigration law, his personal experience gives him a unique perspective in immigration matters, and the insight to help both businesses and individuals navigate the often stressful and complex process with ease. At Colombo & Hurd, our Argentina E2 visa lawyers understand the intricacies of the U.S. immigration system, with decades of legal practice and first-hand experience. We offer unparalleled service, and will work diligently to put together the best possible application for each of our clients. If you are considering applying for an E2 visa as an Argentinian national, contact us online, or contact our Orlando office at (407) 478-1111 or our Miami office at (305) 455-0590 to schedule an initial consultation.